Brother Chuck is a very strong Peony with dark foliage and beautiful full and double white flowers with a slight pink in the centre. The buds come with green and pure white like Duchesse de Nemours, but this variety doesn’t need staking. The fragrant flowers bloom in the middle season. Brother Chuck is a very rare variety, and is something to remember. Ideal for cut flower production. 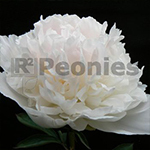 To order Peonies just for wholesale, contact one of us for information.